Choosing a location for your family photos is an important decision. As the years progress, these are the images that you will look back on that hold your family history. Over a series of upcoming blogposts, I will be discussing great outdoor locations for family photos in Orange County California. While there are a number of factors to consider when thinking about your family photo session, only one word comes to mind: location, location, location! If you know the Orange County area in Southern California, then you know there are an abundance of outdoor locations to choose from. Set out below are three of the most popular locations, including the address, notes on parking and photo permits (if relevant). Feel free to check out my related blogposts: Best family photography locations in Orange County, California (Part 2) and Best family photography locations in Orange County, California (Part 3). San Clemente State Beach is the main beach in the Southern California city of San Clemente. The beach boasts beautiful white sand and surf that both toddlers and surfers alike can enjoy. What makes this beach an ideal location for family photos are a couple of other attractions at the beach. 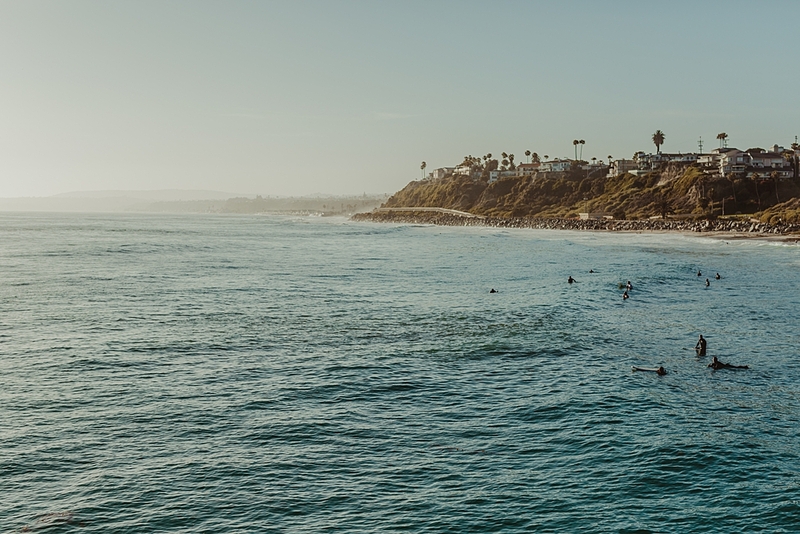 Firstly, San Clemente State Beach is home to the San Clemente Pier. The pier is 1,296 feet long so there is plenty of room to play and take a stroll. Secondly, San Clemente State Beach is also a station on Amtrak’s Pacific Surfliner, so the beach is unique in that there is a railroad track running right behind the beach. When we went here, my son was more interested in the train track than the beach! If you're interested in seeing some photos I took at San Clemente State Beach, check out my family photos at San Clemente State Beach, California. Laguna Beach needs no introduction. It is undoubtedly one of Southern California’s premier coastal locations. The beach stretches for seven miles with Main Beach being quite popular and busy and other stretches of the beach being quieter. For example, Aliso Beach which is located in South Laguna Beach, is a little quieter and often has larger waves crashing breaking against the rocks for a bit more drama and fun for your next family photo session. In order to have a photo session at Laguna Beach, a photo permit is required along with payment of a fee. If you're interested in seeing some photos I took at San Clemente State Beach, check out my family photos at Laguna Beach. Mission San Juan Capistrano is located in the small southern California city of San Juan Capistrano, Orange County, California. It is a unique location to get photos because the Spanish mission boasts fabulous rustic columns and pillars. The flower gardens located within the mission are bright and colorful and provide a beautiful backdrop for family photos, as do the majestic courtyards in the mission. In order to have a photo session at Mission San Juan Capistrano, a photo permit is required, which generally requires a couple of days advance notice and payment of a fee. In order to provide a larger range of photos, the Los Rios Historic District (particularly, Los Rios Street), which is short walking distance away, provides a complimentary backdrop to your family photo session. I hope you’ve enjoyed reading this article. Krystil McDowall is an Orange County family photographer, specializing in photography for families of all shapes and sizes, which includes couples, expecting parents, newborns, toddlers, kiddos, even bigger kiddos and, of course, any fur babies that schlep with the family. If you're interested in viewing more of my work, check out my portfolio or contact me so we can discuss documenting some memories together. Also, be sure to follow my Facebook and Instagram for updates and my latest work.